Fr. Walter J. Stohrer, S.J. Fr. 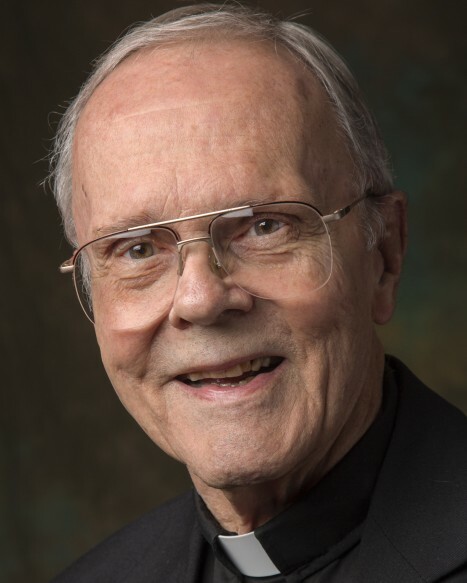 Stohrer was a member of the St. Camillus Jesuit Community and was called to eternal life on July 14, 2018. He was 88 years old, a member of the Society of Jesus for almost 71 years, and a priest 58 years. He received a MA degree in Philosophy from Gonzaga University in 1954 and a Ph.D in Philosophy from Georgetown University in 1968. He taught at Marquette High School as part of his Jesuit formation, 1954-57. He taught philosophy and theology at Creighton University from 1967-71. In 1971 he became Assistant Dean in the College of Arts and Sciences at Marquette University. He held that position for one year then went back to the classroom to teach Philosophy. He taught until his retirement from the classroom in 2010. While he was teaching, he became Chaplain of the College of Nursing in 1987 and continued until 2017. In 2015, he was missioned to the Jesuit Community at St. Camillus. Fr. Stohrer was born in Evanston, IL on February 13, 1930. When his family moved to Omaha in 1941, he attended school there and graduated from Creighton Preparatory High School in 1947. In August of 1947, he entered the Society of Jesus at Florissant, MO. He did his theological studies in preparation for priesthood at the University of Innsbruck, Innsbruck, Austria. It was at Holy Trinity Church in Innsbruck that he was ordained on July 26, 1960. Fr. Stohrer is survived by one sister, Sr. Mary Baptist Stohrer, OP who is at the Dominican Motherhouse in Sinsinawa, WI. There will be a wake at the Madonna della Strada Chapel in the Jesuit Community at St. Camillus, 10201 W. Wisconsin Avenue from 6:30-7:30pm on Thursday, July 19. The funeral Mass will follow at 7:30pm. His burial will be at 9:00am on Friday July 20 at Mt. Olivet Cemetery, 3801 W. Morgan Ave., Milwaukee.